EDITOR'S NOTE: Jeff Stafeil was recently named CEO of Dura Automotive Systems, and Tom Chambers was appointed CEO of Global Automotive Systems and head of Patriarch Partners' automotive portfolio. Chambers' title was incorrectly reported in the original story. Stafeil was not identified. Dura Automotive Systems' U.S. business could get a lift by combining the supplier with Global Automotive Systems, its sister company, under the auto portfolio of the New York private equity firm Patriarch Partners. Merging the two suburban Detroit suppliers "would give Dura a much stronger U.S. presence and allow for synergistic expense cuts," Patriarch CEO Lynn Tilton told Automotive News last week. "Our hope is that a lot of the technological DNA of Dura would flow to the U.S. operations." More than half of Dura's revenue historically has come from Europe. Global Automotive is primarily focused on North America, with more than 900 employees at six U.S. plants and a site in Mexico. Tilton said Patriarch is analyzing a merger of the suppliers, which make glass systems, door modules, throttle controls, shifters and other parts. She wouldn't say when she'll decide. But Tilton took a step toward merging the companies last week with a management shake-up. 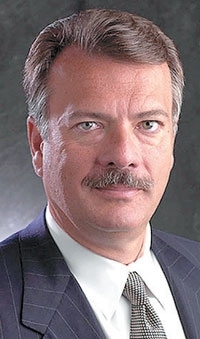 Tim Leuliette, 60, who had been CEO of Dura and managing partner of Patriarch's auto portfolio, is stepping down. Jeff Stafeil was recently named CEO of Dura Automotive Systems. Tom Chambers, 66, who has been COO since early 2009, was appointed CEO of Global Automotive Systems and head of Patriarch Partners' automotive portfolio, which also includes several smaller suppliers. Global Automotive's CFO, Jim Gregory, 44, takes the CFO post at Dura. Dura ranks No. 86 on the Automotive News list of the top 100 global parts suppliers, with worldwide sales to automakers of $1.29 billion in 2009.